Surprise: you are more connected to yourself than realized! A study was recently published in the Journal of Neuroscience (October 8) which reveals pelvic floor muscle contractions are strongly connected with the activation of other muscles, particularly the gluteal muscles. Jason Kutch, corresponding author of the study and assistant professor in the Division of Biokinesiology and Physical Therapy at the USC Ostrow School of Dentistry, explains that when the pelvic floor muscle involuntarily contracts (say, to maintain continence or prevent flatulence), the gluteals automatically contract as well. How did he prove this? 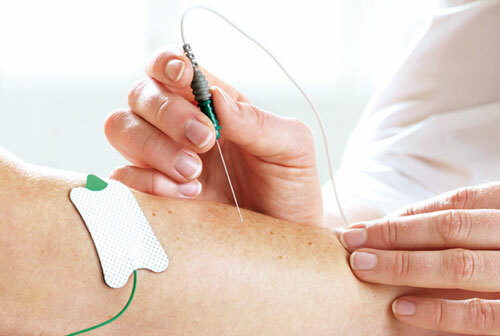 By employing ELECTROMYOGRAPHY, a tool that enables researchers to measure muscle contractions and co-activation patterns. He discovered that when participants activated the gluteals, activation of the pelvic floor muscles occurred as well. In essence, individuals were inadvertently performing Kegel exercises when activating the gluteals, however the same phenomenon did NOT occur when participants contracted intrinsic finger muscles. In addition, Kutch and his team used functional magnetic resonance imaging (fMRI) to analyze which area of the brain is activated during pelvic floor muscle, gluteal, and finger muscle activation. Not surprisingly, the same region of the brain, the medial wall of the precentral gyrus of the primary motor cortex, is activated both during pelvic floor and gluteal muscle activation. Practically speaking, this research supports that which I have been telling my patients for years. Namely, that individuals who suffer from pelvic pain should NOT participate in Pilates or other intense core workouts that involve abdominal and gluteal contractions. The reason I discourage them from doing so is that these types of exercises will inevitably contribute to further tightening and possible pain within the pelvic floor muscles. Instead, patients with pelvic pain should participate in pelvic floor STRETCHING exercises. To learn more about whether or not pelvic floor stretches are appropriate for YOU, please contact us at Beyond Basics Physical Therapy, where we can help create an individualized pelvic floor muscle program based on your specific needs. We’ve got the LOVE BUG! I’m struggling with exercise/activity induced pelvic pain flares. Can you provide specific examples of activities that fit your description, i.e., “intense core workouts that involve abdominal and gluteal contractions”? Seeing a pelvic floor PT to guide you through the exercise that work for you is the best advice and idea. Cardio that is pain free is advised, so walking, swimming. Doing massages and gentle stretches are also advised, but you need to monitor your symptoms and if you feel any pain, then stop that particular exercise, stretch. My book, Heal Pelvic Pain, or Dvd: Healing Pelvic and abdominal pain, can both guide you through various exercises.